TerraX Minerals Inc. is a junior gold exploration company focused on creating shareholder value through discovery. The Company's management team is highly experienced, with an impressive track record of success. 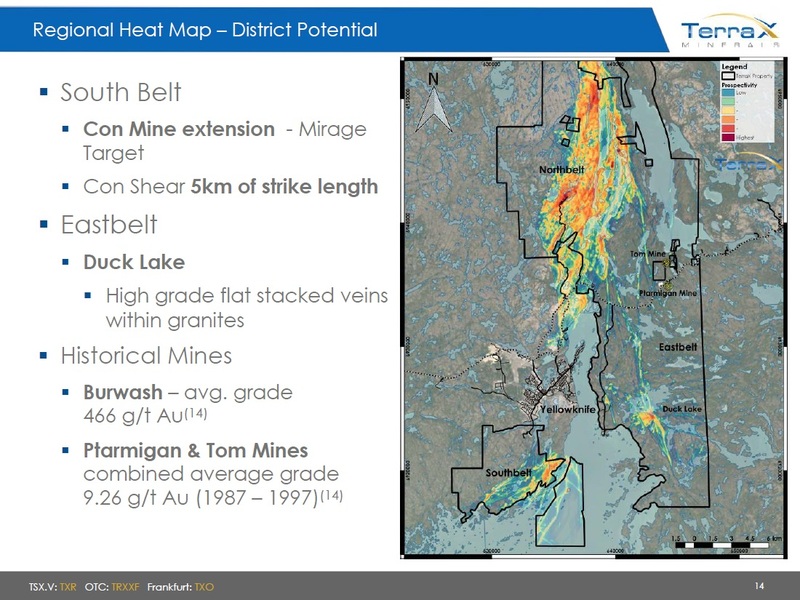 TerraX Minerals is focused on the 100%-owned Yellowknife City Gold Project in the Yellowknife gold district, the most northerly and least explored of the six major high-grade gold districts in Canada. With ready access to infrastructure, TerraX has been able to cost-effectively generate multiple new high-grade gold discoveries with a view to re-establishing Yellowknife as one of the premier gold mining districts in Canada. 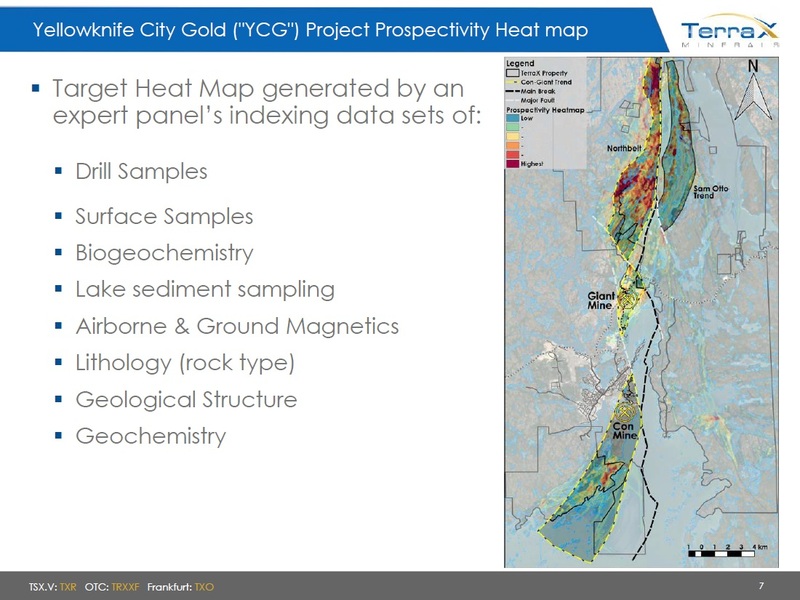 The Yellowknife City Gold ("YCG") project encompasses 783 sq. km of contiguous land immediately north, south and east of the City of Yellowknife in the Northwest Territories. Through a series of acquisitions, TerraX controls one of the six major high-grade gold camps in Canada. 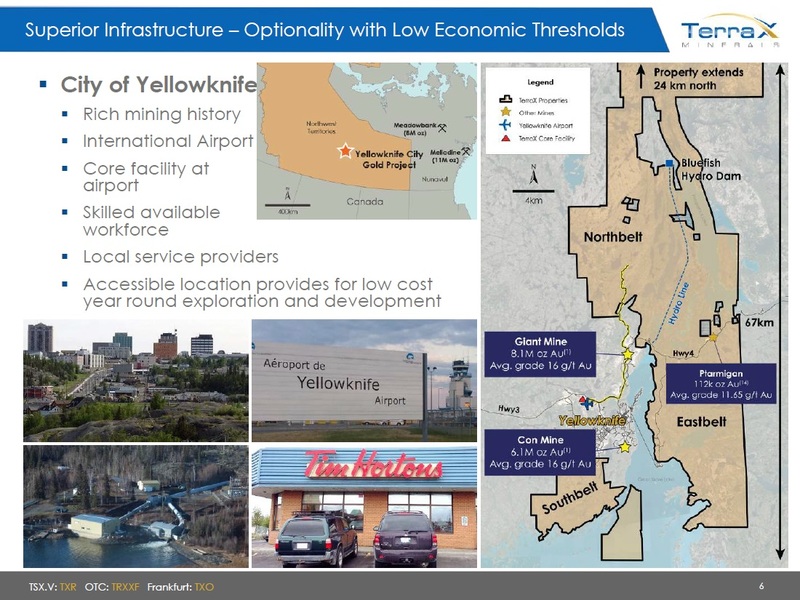 Being within 10 km of the City of Yellowknife, the YCG is close to vital infrastructure, including all-season roads, air transportation, service providers, hydro-electric power and skilled trades people.The YCG lies on the prolific Yellowknife greenstone belt, covering 70 km of strike length along the main mineralized break in the Yellowknife gold district, including the southern and northern extensions of the shear system that hosted the high-grade Con and Giant gold mines. The project area contains multiple shears that are the recognized hosts for gold deposits in the Yellowknife gold district, with innumerable gold showings and recent high-grade drill results that serve to indicate the project's potential as a world-class gold district. Lead technical team that discovered Meliadine gold project in Nunavut. Over a decade of experience in capital markets including sales and trading, investment banking, marketing and corporate strategy. More than 27 years as founder, director and senior officer of public companies listed on TSXV, TSX and NASDAQ. President of West Oak Capital Group, Inc.
More than 37 years of exploration experience ranging from regional exploration to definition drilling. Chief geologist of Meliadine discovery team. Chief Financial Officer of Osisko Gold Royalties Ltd.
Was a founder and senior officer of Athlone Energy Ltd.
President of Triumph Gold Corp.
Senior Vice President of Auryn Resources Inc.
Former Vice-President of Pacific International Securities Inc.
On March 21, 2019, TerraX Minerals Inc. announced that a Type B water licence has been issued by the Mackenzie Valley Land and Water Board (MVLWB) to TerraX Minerals Inc., approving the Company's broad exploration plan for all landholdings of its Yellowknife City gold (YCG) project. 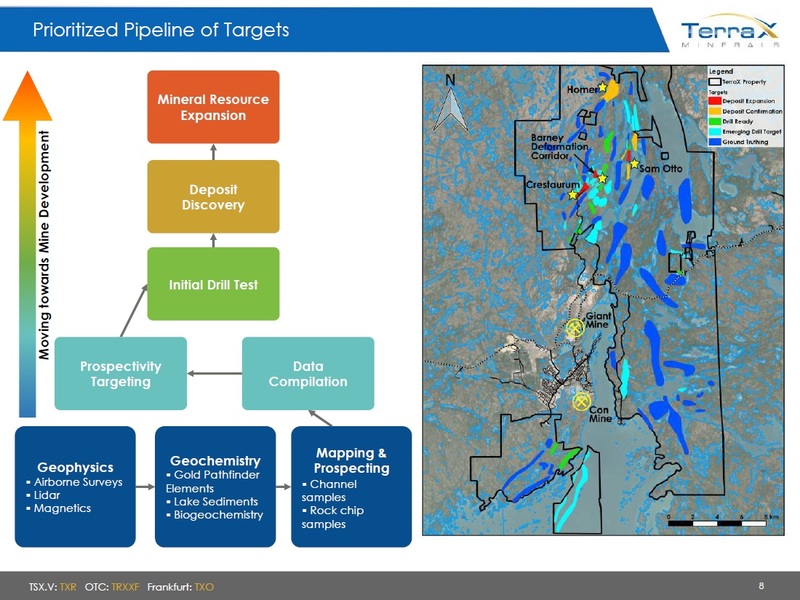 On March 18, 2019, TerraX Minerals Inc. announced that the Company confirms that gold structures that hosted one of Canada's highest grade past producing mines (the Giant mine) extend onto TerraX target zone. On January 14, 2019, TerraX Minerals Inc. announced that in co-operation with the Geological Survey of the Northwest Territories and the Giant mine remediation project, TerraX was able to recover 16,000 metres of historical drill core. In a preliminary review of the core TerraX geologists have identified visible gold and are currently logging and splitting the favourable sections of core for assaying. 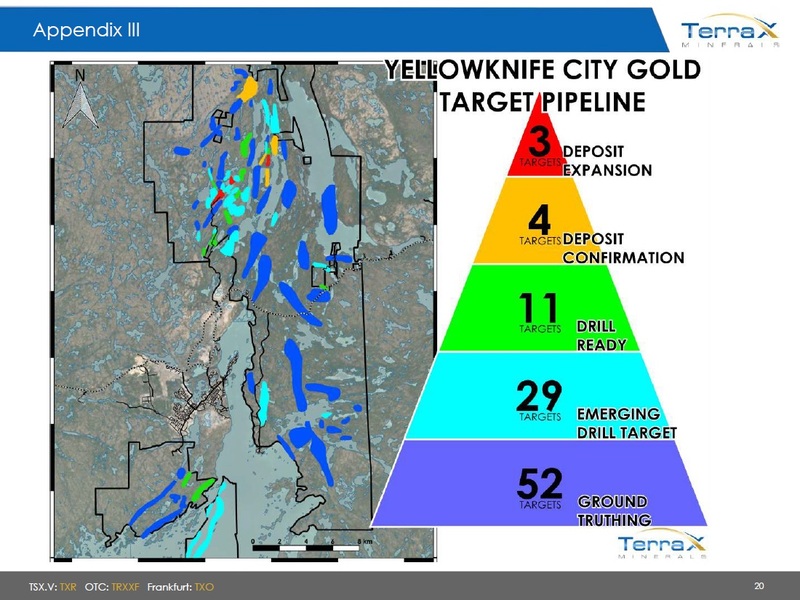 On January 8, 2019, TerraX Minerals Inc. announced Yellowknife City Gold Project 2019 drill targets. 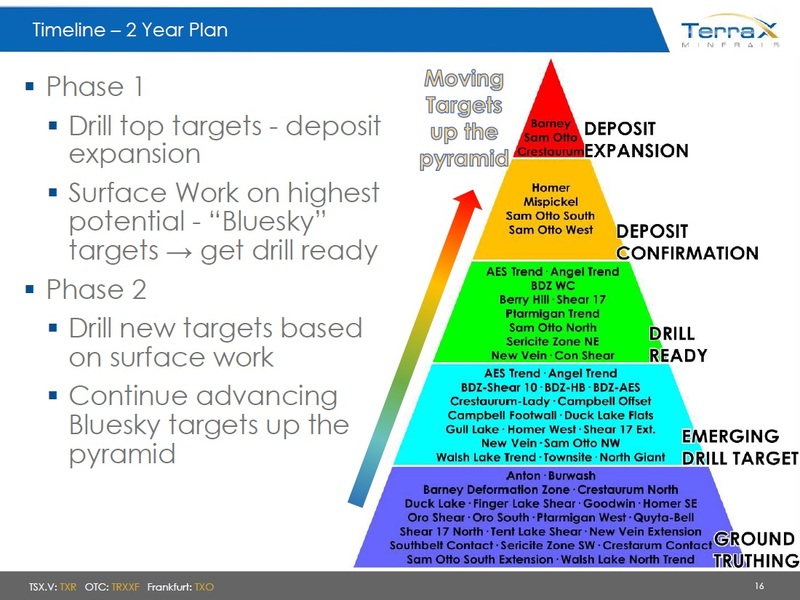 Four top priority targets were flagged for deposit expansion or confirmation drilling: Barney Deformation Corridor (BDC), Crestaurum, Sam Otto and Homer. Copyright (c) 2000 - 2019 Chinese Investment Club Inc.
All Right Reserved. Do not duplicate or redistributed in any form.